Wouldn’t you like to improve your golf game? 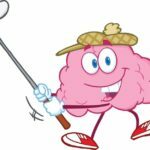 Just about anyone who golfs, whether they do it once in a while for some recreation and exercise, or they are serious about the sport and try to golf a couple of times a month, is likely to want to find ways that they can learn more and get better at the sport. With the help of Matt Henderson and GolferBlueprint.com, you will be able to start improving your game. 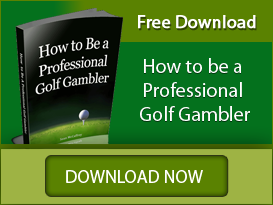 This website will put the secrets of pro golfers right at your fingertips. There will be videos to golfers of any skill level, and one of the big benefits of using the site is that you can watch these videos more than once to be sure that you get the hang of what you are trying to learn. Best of all, though, you aren’t going to be learning from just anyone. You get to learn from Matt Henderson, a golf instructor with a list of impressive credentials. Let’s get a closer look at Matt and see just why you want him to be your instructor. When you learn from a golf instructor, it is only natural that you want to be sure you are working with the very best. Matt Henderson is the current Director of Instruction at TPC Las Vegas. His specialty is helping to develop competitive players with a concentration in short game. He has students that are competing at every level in the sport. This includes junior golf all the way to the national level USGA events and professional tours. He has the experience and knowledge to help you. Henderson carries advanced certifications from Titleist Performance Institute, BokiTrak, and FlightScope, and he is a Class A member of the PGA of American. Prior to being at TPC Las Vegas, Henderson was working at the University of Texas as the Director of Instruction for the Men’s Golf Team. Earlier in his career, Henderson was working with Dave Pelz, a Golf Digest Top 5 Instructor, in Boca Raton, FL. Henderson has earned a number of honors and awards over the years. This includes being named as one of Golf Digest’s Best Young Teachers, a Golf Digest Best Teacher in Nevada (from 2012 to the present), the SNCPGA 2013 Teacher of the Year Award, the SNCPGA 2013 and 2017 Player Development Award, and the SNCPGA 2018 Horton Smith Award for Contributions in Education. To top it off, Henderson also has his first book, Realtime Scoring, coming out in the fall of 2019. As you can see, there are plenty of reasons to choose GolferBlueprint.com and learn from Matt Henderson. When you want to improve in golf, and you want to do it in a manner that is easy and convenient for you, check out what GolferBlueprint.com can offer. You will be happy with the results as you see your skill and your confidence levels start to rise. It is time to become a better golfer. The Masters is one of the most important championships in professional golf, and it is played each year in Augusta, GA. The upcoming 2019 event will be the 83rd time that the Masters tournament has been played, and it will take place between the dates of April 8 to April 14. The first Masters tournament was hosted in1934 by Bobby Jones and Clifford Roberts. When it was first conceived, Clifford Roberts wanted to call the tournament the Masters, but Jones did not like the name. For the first five years of its existence, it was known as the Augusta National Invitation Tournament. Jones finally changed the name in 1939, and from that point forward, it was known as the Masters. The best golfers compete at the Masters, and some of the biggest names in the sport have been winners at the event. The golfer responsible for the most wins at the Masters tournament would be Jack Nicklaus, with six wins. These were between 1963 and 1986. Following Nicklaus are Arnold Palmer and Tiger Woods, both of whom have won the event four times. Golfers who have three wins each under their belt include Jimmy Demaret, Sam Snead, Gary Player, Nick Faldo, and Phil Mickelson. Why is the Masters such a “big deal” in the sport? This tournament brings together some of the best golfers in the world and allows them to compete head to head with one another to see who is playing their best golf at the time. It is a time to see who is the best of the best. 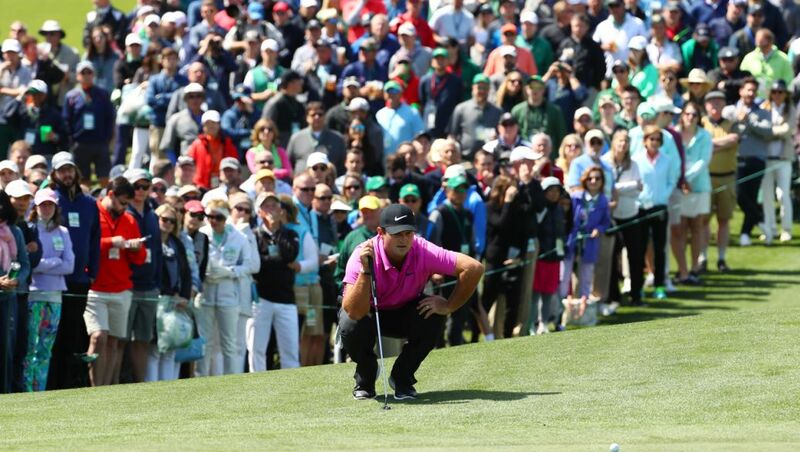 The current defending champion is Patrick Reed. The tournament will begin on Monday, April 8 with practice rounds. These practice rounds go on for three days. During that time, there will also be the Champion’s Dinner, and the Par-3 Contest. The first actual round of the Masters will begin on Thursday, April 11. On each of the following days, another round will be played. At the end of the fourth round on Sunday comes the trophy presentation and the Green Jacket ceremony for the winner of the Masters. Can You See the Masters? Seeing this tournament live is a dream for many people who love this sport. However, it is not always as easy as you might hope. You need to apply early for tickets, which are then provided through a lottery system. Only some people will be able to have the chance to buy the tickets at all. For the April 2019 tickets, the costs for those who have been chosen through the lottery are $75 for practice round tickets and $115 for daily tournament tickets. Of course, the vast majority of people will not be fortunate enough to win the opportunity to buy these tickets. Fortunately, you will always be able to catch the tournament on television or online. The Internet is the perfect place to start learning about nearly anything that interests you, and that is certainly true when it comes to golf. The web will allow you to learn more about the history of the game and it is easy to find out more about some of the great players who have graced the greens over the years. You can study video of the great golfers, check out golf courses, learn about new clubs and other types of equipment and more online. Why not look for a quality golf school online that can help to take your game up a level or two? If you are working with just an instructor in person, you will be limited by that instructor’s knowledge and experience. When you are learning through an online school, you will find that it tends to be much easier for you to learn about other subjects and topics. Different instructors and professionals can provide their insight and knowledge to the courses and lessons that you are taking. One of the other big reasons that online schooling is popular for so many different types of subjects is the convenience it can offer. Instead of needing to travel to a location for the lesson, you can simply take your lessons in the privacy of your own home. This means less driving and less hassle, but you still get the same quality instruction and knowledge that you would get in person. People all learn at different rates, and sometimes, you might want to spend some additional time on certain aspects of a lesson. When you are in an online school, you can repeat your lessons and go at a pace that will be more comfortable to you. When you are taking live lessons, whether you are going through an offline school, or you are taking private lessons, the cost can be quite high. One of the benefits of working with a golf school online would be the fact that they tend to have lower costs. What Should You Look for With the Best Online Golf School? Of course, you can’t simply choose just any school and expect results. Instead, you want to find the best online golf school that will help you improve your game and your knowledge. You want to have a school that can supply you with information from the pros from various courses, and that can provide reputable instruction, drills, and techniques for different parts of the game. Learn more about who will be providing the lessons when you are considering your golf school. If you want to learn more about golf and ways that you can improve your game, be sure to check out the best golf school online, Golfer’s Blueprint. Learn more about the options and offerings that are available to you and then enroll in the online school to start taking your game to the next level. There will be more details coming soon for this new online golf school. 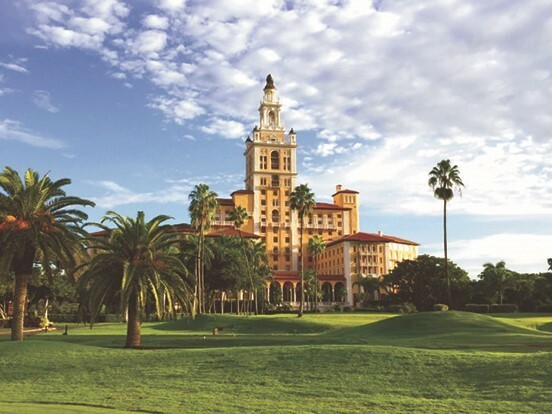 The Biltmore Hotel in Miami is one of the most famous and iconic hotels in all of South Florida. The Coral Gables property recently underwent a $25 million renovation to the guestrooms, as well as the famous golf course on the property. The restoration to the golf course was highly anticipated, and it was overseen by Brian Silva, the architect for the golf course. The goal was to restore the course, so that it would be the same as the original layout from Donald Ross, which was designed in 1925. The Biltmore Golf Course reopened on December 15, 2018. Golfers soon saw that there were quite a few changes made to the 18-hole 71-par golf course. All of the tees, fairways, greens, and bunkers were restored. Out of the original 85 sand bunkers, 84 of them were restored to the 1925 style and conditions. The fairway movement was restored to what it had been, and the back tee yardage was bumped up to 7,112 yards. They worked hard to make it as accurate as possible to the original, and the changes they made have been welcomed. What Does the Biltmore Golf Course Offer? For years, the Biltmore Golf Course has been the home of the NCAA Hurricane Invitational, as well as the Miami Women’s golf team. 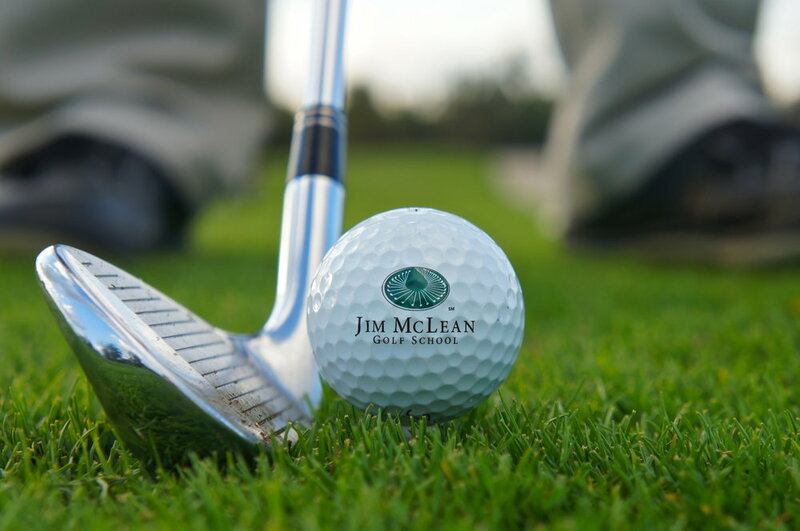 In January of 2019, it became the home to the headquarters of the Jim McLean Golf School. This school offers different types of golf instruction. Those who are interested could take private lessons, attend one of the multiday schools, or a corporate clinic. 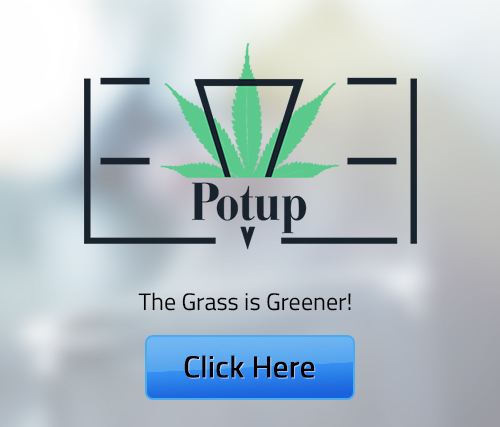 Their goal is to help people improve their game. In addition, the Biltmore Golf Course includes a wide range of amenities. The golf clubhouse is called the 19th Hole, and it is a restaurant and a bar. In addition, there is a golf shop that is stocked with everything you might need, along with locker rooms for men and for women. The golf course also has practice facilities including a practice putting green, chipping area, artificial turf hitting surfaces, and more. The course features electric golf carts that have a GPS system installed, golf club rental, a fitting and repair center, and much more. The renovation has helped to ensure that that course remains challenging, and that you get the best of both worlds – a classic course and all of the modern conveniences you could need. If you are heading to the South Florida area for business or for pleasure, you may want to book a round or two of golf at the Biltmore Golf Course. Even if you were there a few years ago to play on the course, the new renovation has made it a brand new experience. Take a round or two to check it out and see how you fare against the original course. It is in a beautiful location, and it should provide you with a nice challenge.